Choosing commercial truck tires can take time and requires specialized knowledge of the available options. 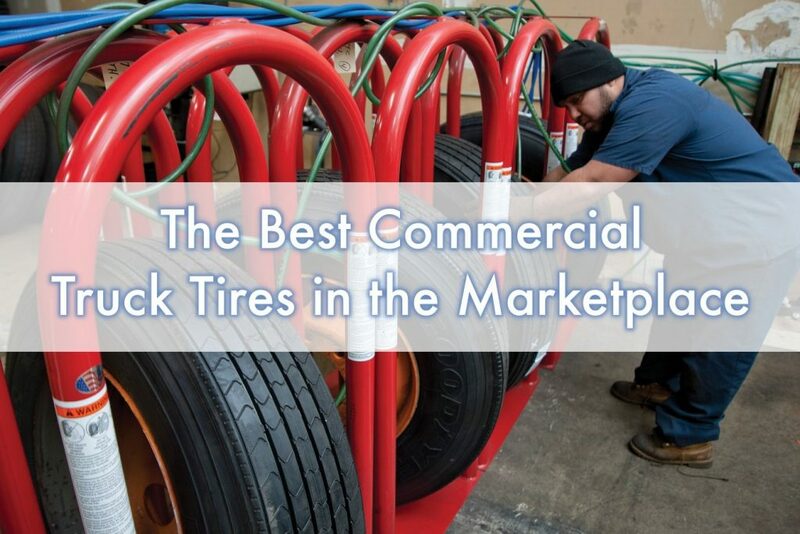 Our team at STTC has significant experience in this area of the marketplace, and within our latest post, we take a look at the best commercial truck tires available in the marketplace today. The Michelin XZE2 tire has become one of the leading options for commercial truck tires as it features buttressed shoulders to resist tearing and accelerated wearing in high scrub applications. Another advantage of the product is that it’s designed with a deep, wide tread and a fully optimized footprint to deliver even tread wear across the tire. The long casing life offered by the Michelin XZE2 is the result of its extra strong curb guards, which help to protect the sidewalls against impacts and other forms of damage. The Goodyear G395 option features a uniquely shaped pressure distribution groove designed to help minimize shoulder wear over many miles. The product also features an evolving tread pattern, which is designed to encourage uniform wear and exposed angled grooves as the tire wears to enhance traction and handling for the driver as the tire ages. It’s the ultimate in safe driving over long distances. The G395 also offers Goodyear’s Enhanced Casing Design (ECD TM) Technology, which helps to decrease the running temperature of the tire and assist rust resistance. Another great option from Goodyear is the G316 LHT, which features fuel max technology. The G316 LHT product includes a cool-running, triple compound construction, which has been designed to reduce the amount of energy generated within the tread for low rolling resistance. The product also includes two wide circumferential grooves and lateral grooves to increase the performance of the vehicle within wet and dry weather. The RY617 Tire from Yokohama is another one of the leading commercial truck tires within the 2018 marketplace. It’s an example of tire innovation that has helped many companies improve the performance of their vehicles over time. The tire features a five-rib design, which performs effectively across all seasons and all road types. The product has also been recently upgraded to include 6,000 sipes, which allows for high levels of water evacuation in the rain and optimal wear in all weather conditions. The RY617 also offers a stress wear control groove, which reduces contact pressure at the tread edge and provides increased wear resistance while enhancing the evenness of wear in the shoulder area.